Blank Greeting Card - #10B - Life is Short. Buy the Shoes. 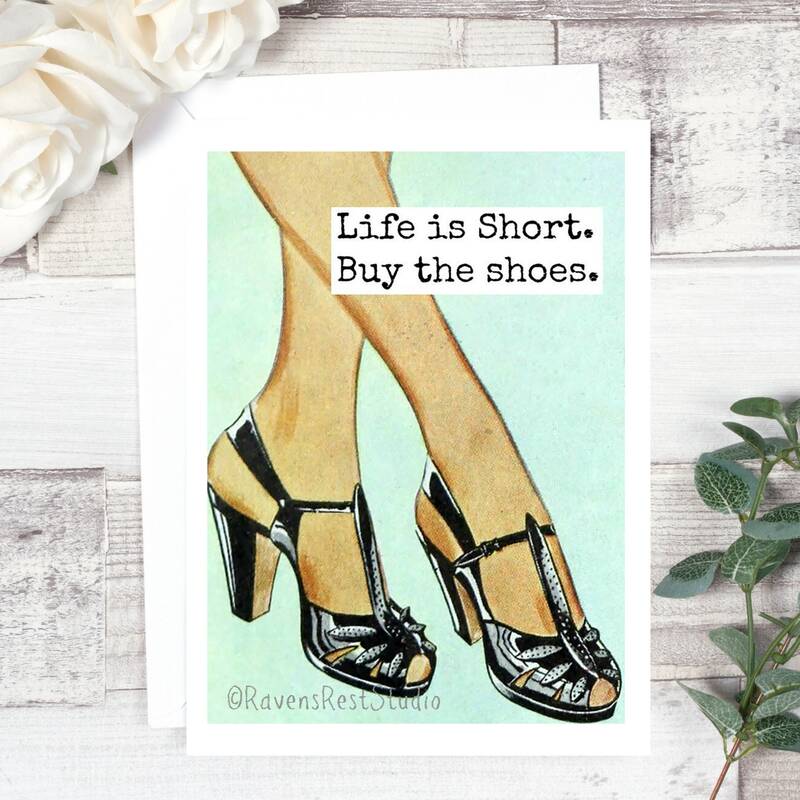 This card features a vintage set of legs and shoes and reads: "Life is short. 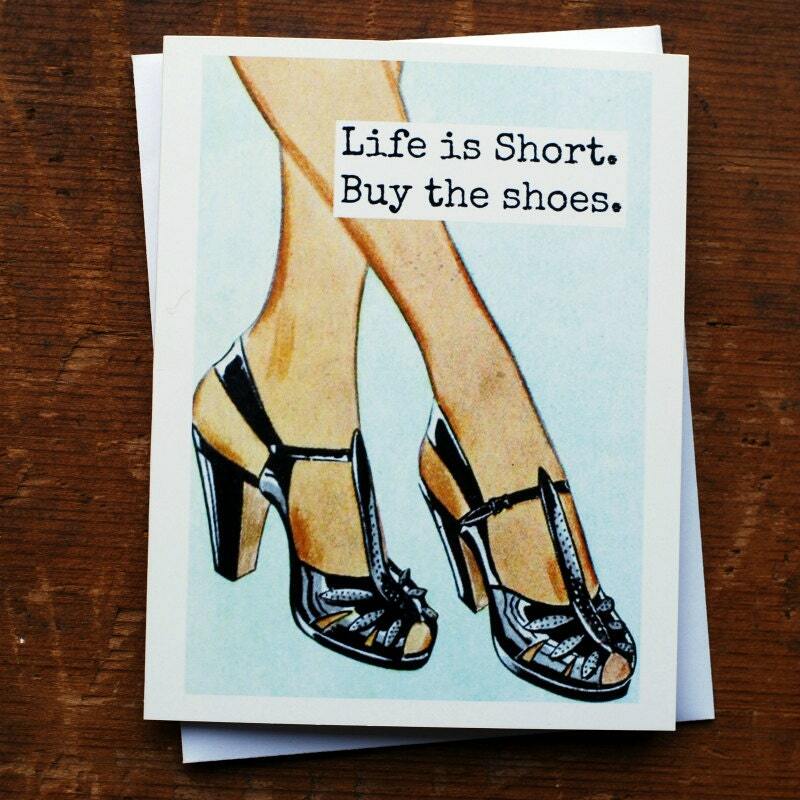 Buy the shoes."